Researchers try to track the sources of plastic pollution. Washington: According to a recent study, focusing on rivers and river mouths can yield vital clues about how we might manage this ongoing plastic pollution crisis. Plastic pollution in the world's oceans is now widely recognised as a major global challenge, but we still know very little about how these plastics are actually reaching the sea. ‘The 100 Plastic Rivers’ project is engaging with scientists in more than 60 locations worldwide to sample water and sediment in rivers. The aim is to understand better how plastics are transported and transformed in rivers and how they accumulate in river sediments, where they create a long-lasting pollution legacy. “Even if we all stopped using plastic right now, there would still be decades, if not centuries-worth of plastics being washed down rivers and into our seas. We're getting more and more aware of the problems this is causing in our oceans, but we are now only starting to look at where these plastics are coming from, and how they're accumulating in our river systems. We need to understand this before we can really begin to understand the scale of the risk that we're facing,” said Stefan Krause, lead researcher of the project. First results of the project will be presented at the General Assembly of the European Geosciences Union (EGU), held in Vienna, Austria, from 7-12 April 2019. 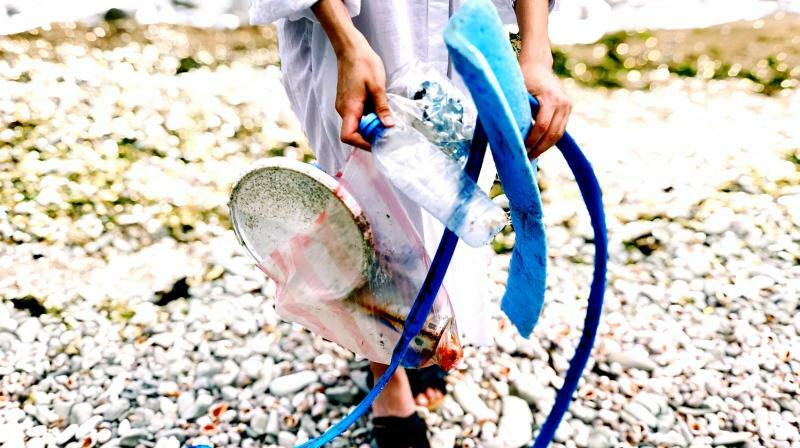 The programme analysed both primary microplastics, such as micro-beads used in cosmetics and secondary microplastics from larger plastic items that have broken down in the environment or fibres from clothing.